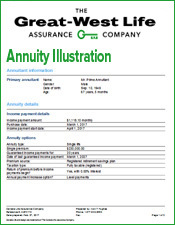 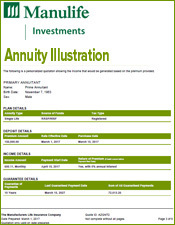 This type of annuity provides income for a specified period of time, chosen at the time of purchase. 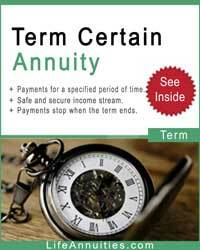 Once the last payment is made, the contract expires and no further payments are made. 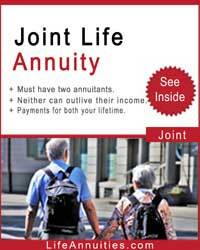 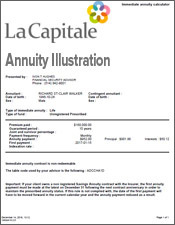 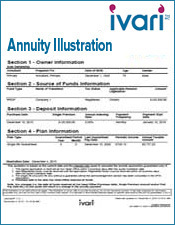 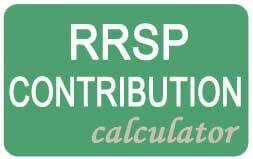 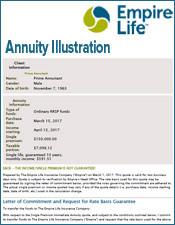 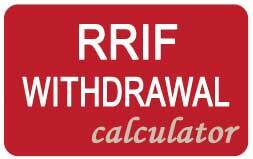 A non-registered life annuity is tax-efficient because only the interest portion is taxable. 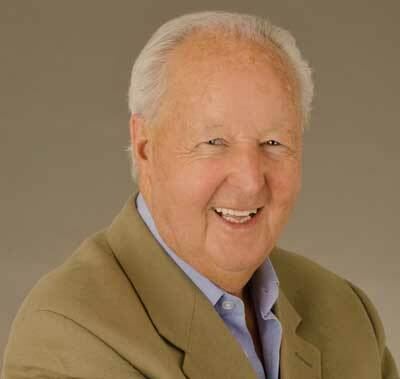 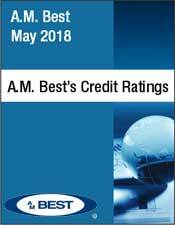 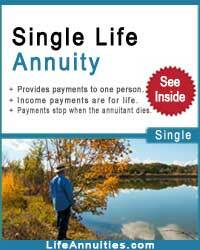 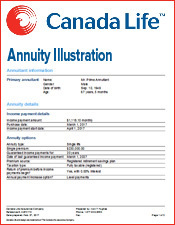 LifeAnnuities.com offers the best term certain annuity rates in Canada. 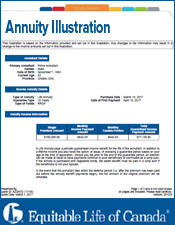 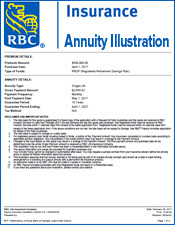 Click here to compare the term certain annuity rates. 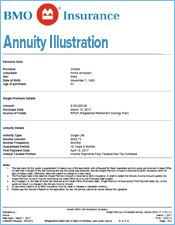 Here are two examples of a 10 year and a 20 year term certain annuity illustration. 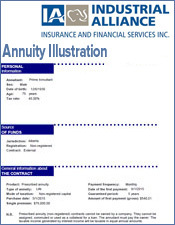 The information and values are provided for illustrative purposes only. 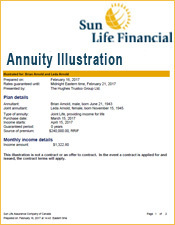 The monthly incomes below are based on a lump-sum deposit of $100,000 of non-registered funds and will commence in one month. 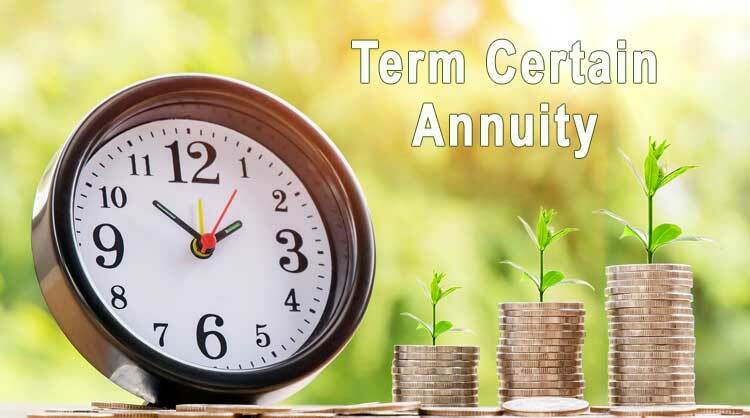 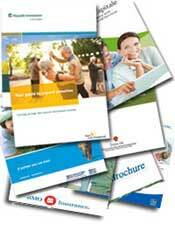 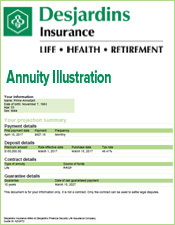 We compare term certain annuity quotes from all the life insurance companies in Canada. 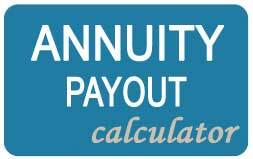 Click here to obtain a free term certain annuity quote.